In December 2007, we formed the Foundation Bureau of Social Initiative (Biuro Inicjatyw Społecznych – BIS), an independent organization whose goal is to support the strong non-governmental sector. We have been realizing it to this day in cooperation with councilsand remaining open to business partners. We want the residents to decide about the matters which concern them through dialogue and cooperation. It is important for us that non-governmental organizations effectively realize their mission through the commitment of people. We participate in the dialogue of creating a better law, favourable to social and civic activity. The representatives of BIS are chosen to the Lesser Poland Council of Public Benefit and Cracow Council of Public Benefit Activity, are members of selection boards, experienced experts in the field of organization growth, social economy, participation and local cooperation. We realize all projects in cooperation with organizations and local councils in Lesser Poland. 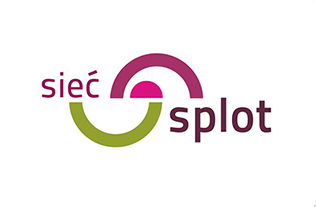 We belong to the Non-Governmental Organization Support Network “SPLOT” (Sieć Wspierania Organizacji Pozarządowych “SPLOT”), which acts to strengthen the non-governmental sector in Poland. In 2014 we received the Crystals of Salt (Kryształy Soli) prize from the Marshal of the Lesser Poland Region “for extraordinary commitment for the benefit of strengthening the potential of the non-governmental sector, the integration and professionalization of the third sector and building bridges between the residents, organizations and councils”. We educate and support citizens, non-governmental organizations and councils in efficiently realizing goals. It is important for us to work professionally and consistently. Committed residents who “take matters into their own hands” are betterfunctioning communities. We aspire to a situation in which people will be interested in the matters of the community they live in and will be able to combine their strength to work for the “common good”. By supporting groups of residents we want to demonstrate possibilities such as: self-organization, cooperation between groups and institutions, local partnerships, social consultation, local initiative or civic budget. Civic organizations are an area for people’s creative activity and are formal partners for councils in the realization of social needs. Organizations face a number of challenges. Improving the effects of organization’s activities requires a set of skills and systematic development of competencies from their representatives. Only informed organizations, with the knowledge of procedures and the needs of the residents, can be significant partners for councils in the realization of common goals. They are our primary rules, which we realize acting for the growth of social activity and a strong non-governmental sector in Lesser Poland. We think of organizations and social activity in the broader context of supporting the development of civic society. It requires including a broad representation of the organization into the dialogue and cooperation to create a better law. We encourage developing the cooperation of organizations with councils and business. Cooperation and commitment leads us to mutual successes!